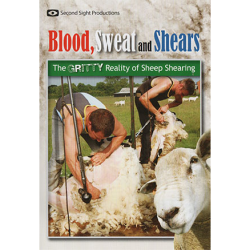 Over 16 chapters, volume three covers a variety of challenges, such as how to get sheep away from a fence or out of a corner and understanding the point of balance. 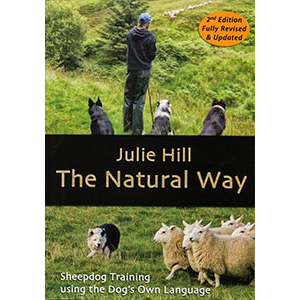 From starting a really aggressive dog, through improving your dog’s confidence in the face of stubborn sheep and a fascinating multi-chapter comparison of training two litter sisters – and much more. 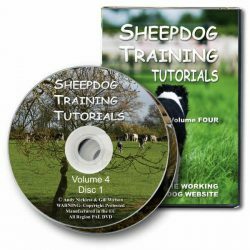 Third in our series of 2xDVD compilations of sheepdog training tutorials from the online tutorial programme on the Working Sheepdog Website. Volume Three covers a variety of training challenges, such as dealing with a dog which is really aggressive with stock, how to get sheep away from a fence or out of a corner, understanding the point of balance and an in depth look at the sheepdog and how to prepare one for training. Volume 3 has no less than 16 chapters of practical footage with superb graphics, slow motion and clear, instuctive commentary. 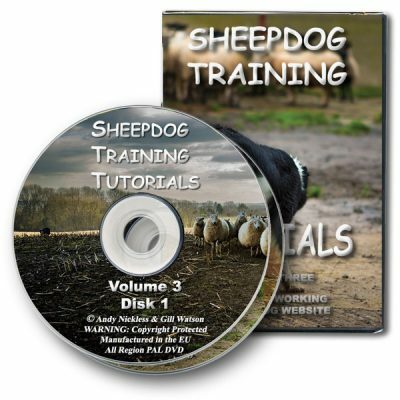 Disc one covers a wide variety of important training topics from getting the sheep away from a fence or corner, through to dealing with a very aggressive dog. Get off the fence – shows you why the dog doesn’t want to go between the stock and the fence or a corner, and how to make it easier for the dog, and build its confidence. Balance, what’s the point? If you fully understand the significance of the point of balance, it’ll be far easier to train and work your dog effectively. Sending the dog the wrong way – our way of ensuring the dog flanks wider around the stock or sheep. The sheepdog. 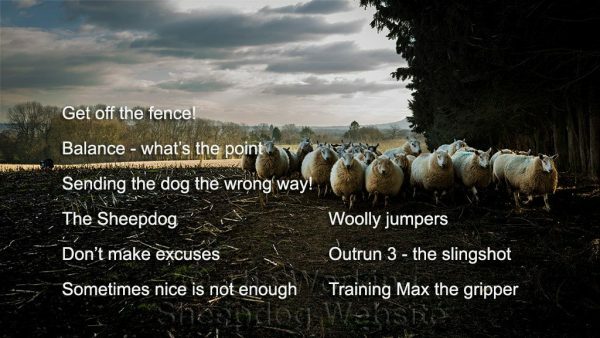 An in-depth guide to the sheepdog and how to prepare it for training to work sheep or other stock. Woolly jumpers. How you can avoid your sheep voting with their feet and leaving the training area. Don’t make excuses. Be honest with yourself about the state of your dog’s training. It’s easy to think things are going well when they’re not. Outrun 3 – the slingshot. Our novel way of exciting the dog so that it goes out really wide on its outrun. Sometimes nice is not enough. If your dog needs to move stubborn stock, you need to be able to tell it when to get tough. Training Max the gripper. Coping with a dog which is really aggressive with sheep is not easy, but we show you ways of getting the dog under control. Disc two shows how to teach a dog to toilet on command, and then follows a full training session with a strong willed dog, before comparing the training of two very different dogs. Eliminate the toilet break. Dogs which stop to relieve themselves when they are working can lose control of the stock, so it’s wise to train the dog to toilet on command. Tess in the open field. We follow an entire training session with Tess, a dog with great potential as well as a very strong will of its own. 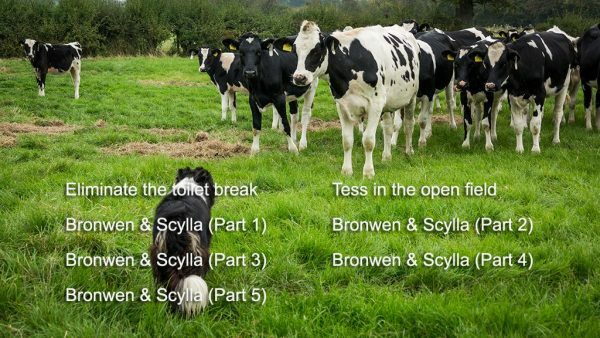 Bronwen & Scylla 1, 2, 3, 4 & 5. A fascinating comparison of the training or two litter sisters who happen to be very different indeed.